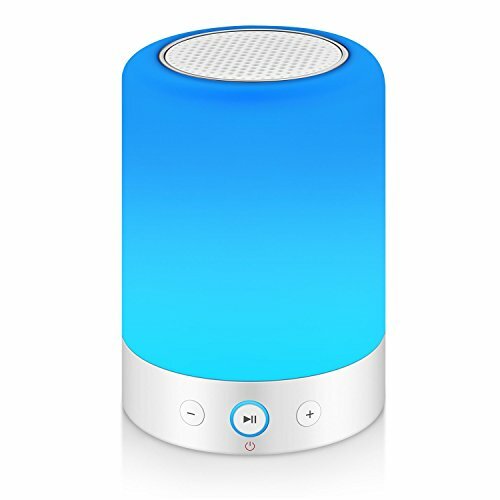 【UTILITY BLUETOOTH SPEAKER】 – Superb Quality Wireless LED Speaker, create a colorful and musical fantasy. 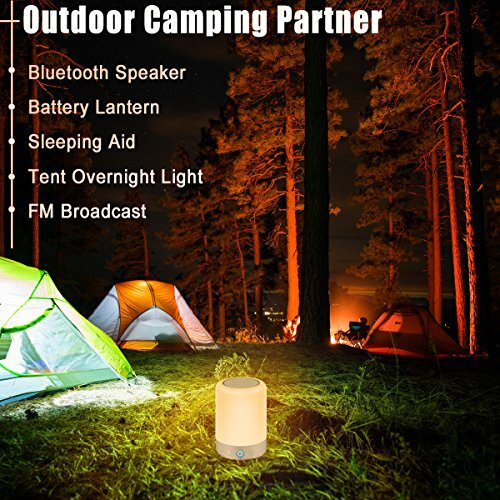 Great to be a color changing table lamp for romantic mood or coffee time, touch bedside table lamp for bedroom, sleeping-aid tabletop nightlights for kids, bluetooth speaker for audio books, rechargeable lamp speaker with FM radio for outdoor camping, or even festival decor lighting hung under trees or roofs! 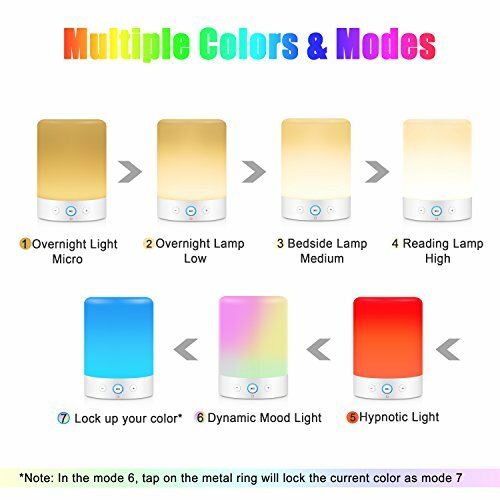 【COLORFUL LAMP】- Warm White Light Mode with 4 levels brightness, Hypnotic Light Mode with Red Light for sleeping assistance, Dynamic Light Mode with RGB color changing supports 16,000,000 colors. 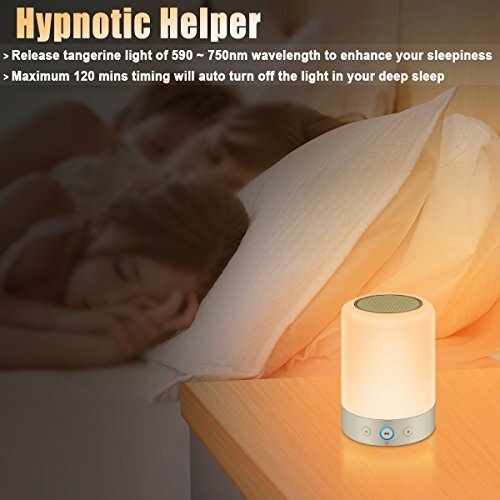 Release soft and comfortable light to make you ease and delight. 【EASY TOUCH ACTIVATED】- Sensitive touch control allows you to tap on the metal ring sensor to switch Colours and Modes. 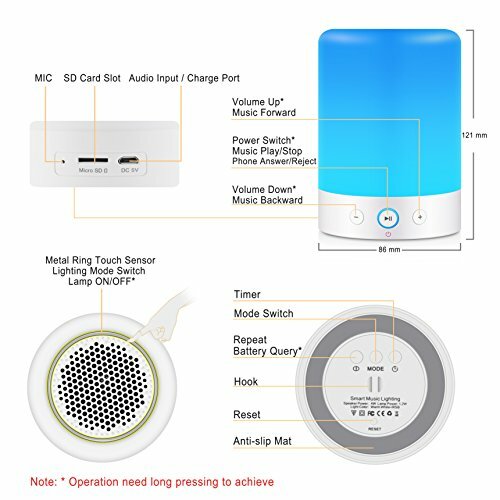 Long pressing to turn on/off the light, easy to reach in darkness. You will have fun when you keep touching it! 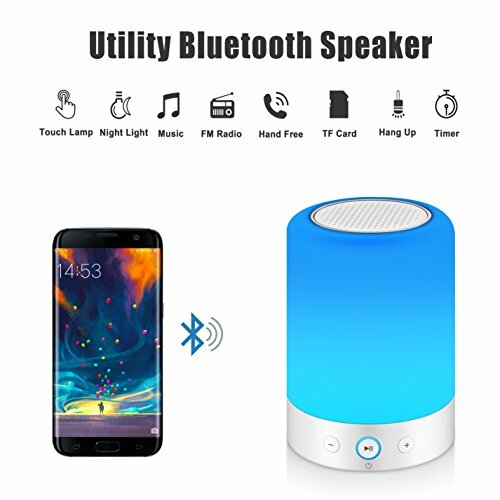 【LONG WORKING HOURS】- Equipped with a rechargeble 2200mAh premium battery, supports at least 18 hours on medium-brightness light, 10 hours on medium-volume music play and 120 hours on low-brightness light, only needs 3 hours to fully charge it! 【DECENT GIFT WITH FULLY GUARANTEE】- Ideal gift for babies, kids, teen boys or girls, women and adults. Buy products from VNO Direct with 100% Quality & Service Satisfaction Promise. 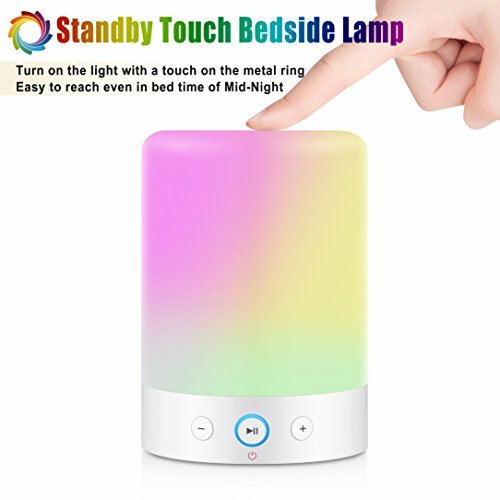 We are confident that our touch bedside lamp with speaker is designed and made under strict quality standards to offer the best customer experience. Feel freely to share with us if you have any issues or concerns. In addition, ALL VNO Direct Items include 1-YEAR WARRANTY!